For those who have experienced a transpersonal or spiritual awakening, it can be difficult to come back to living in the day-to-day world. All of a sudden, you may be faced with challenges such as anxiety, depression, despair, the Dark Night of the Soul, and a multitude of other energetic and spiritual imbalances. Living in a Quantum Reality helps to identify the common side effects of wholeness consciousness and offers a variety of exercises, meditations, and healing methods to cope with having a higher consciousness in a world that is still struggling to catch up. Living in a Quantum Reality helps you understand your �impossible� transpersonal experiences by integrating quantum physics into psychology and offering a user-friendly description of the many layers or spheres of energy and consciousness. 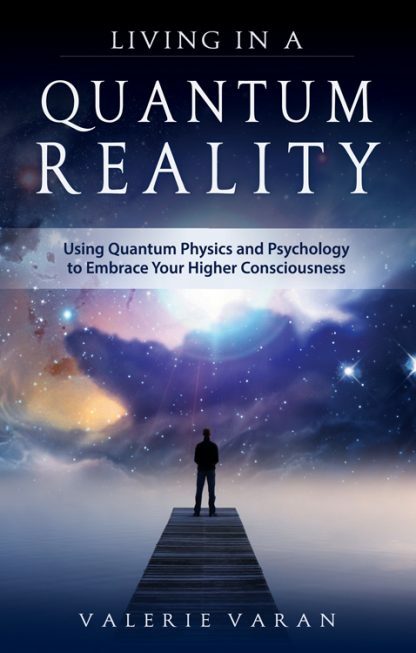 This vision of the quantum self synthesizes spiritual thought with an array of scientific disciplines, and is supported by the author�s own direct experiences, as well as her clients� experiences with larger reality. This book is a step toward advancing the field of psychology, and especially the practice of psychotherapy, to catch up with the latest, more quantum, worldview, one that is more comprehensive for understanding the reaches of our human consciousness and psycho-spiritual experiences. Valerie Varan, MS, LPC, NCC is a nationally certified and licensed professional counselor in Colorado. In her holistic, integrative (Eastern�Western psychology) private practice, she sees individuals and couples, specializing in issues of subtle energy awareness and awakening to higher consciousness love.